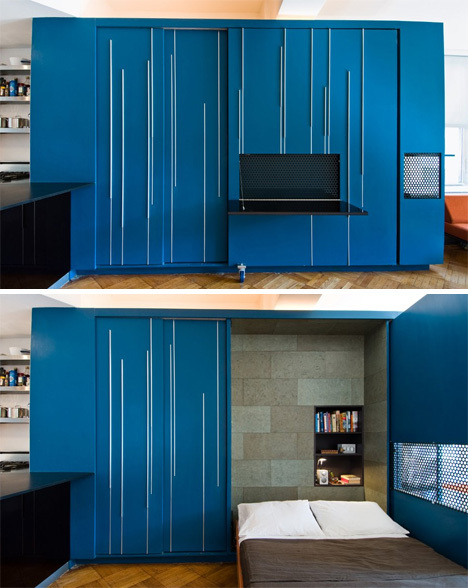 As the micro-unit take hold in urban areas around the world, designers and developers are faced with new challenges. The 250 sq. foot dwelling leaves no room for superfluous pieces. Manufacturers are now solving this problem with small-scale pieces, and furniture that has multiple functions. 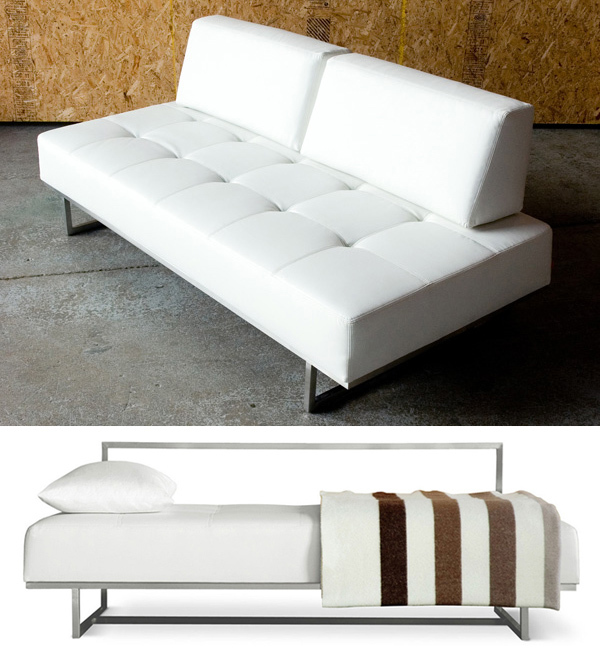 GUS Modern’s James Sleeper functions as a stylish sofa, and a bed. library, bedroom, and living room. The Jane Loft Bi-Sectional can give the comfort and ease of a sectional with a small-scale option.